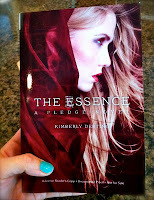 In which I give away not one, but TWO ARCS!!! TWO EVENTS ON THE SAME DAY! What's THE ESSENCE all about anyway...?